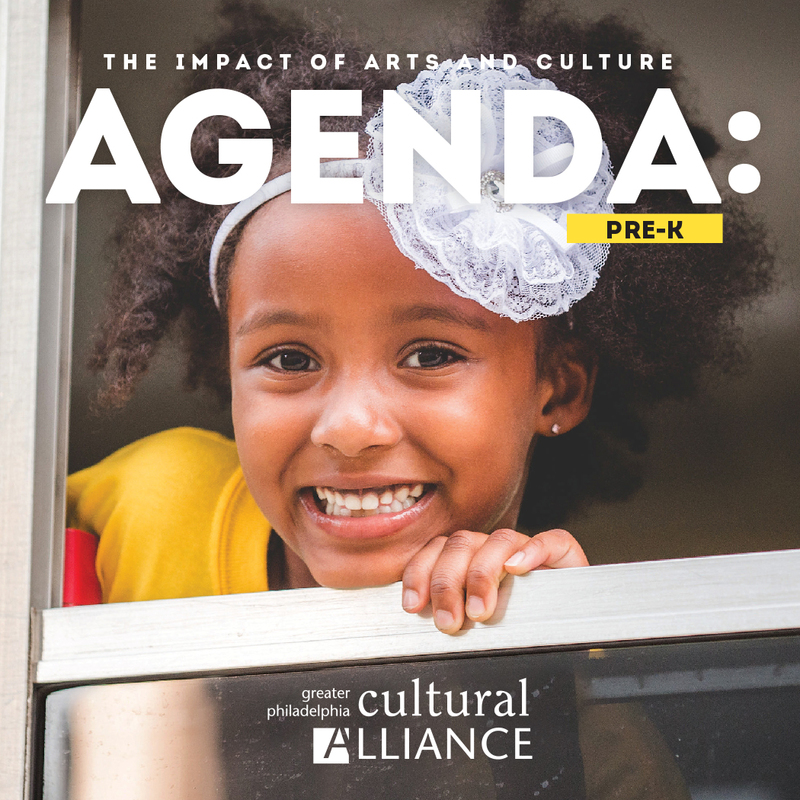 In its 2017 publication Agenda: Pre-K the Greater Philadelphia Cultural Alliance documented how arts-based learning positively impacts the physical, social and cognitive wellbeing of young children and sets them on a solid path to becoming better learners and citizens. With lead support from PECO, the Cultural Alliance announces the second cycle of the Arts & Pre-K Excellence Awards, which recognize and celebrate successful arts and culture programs that serve young children in Greater Philadelphia. The purpose of the Arts & Pre-K Excellence Awards is to highlight the benefits of infusing early learning with arts and culture in ways that spark young children’s creativity, teach them new social/emotional or cognitive skills and improve behavior. The awards also raise awareness of the extensive array of excellent Pre-K arts and culture programs in our region and inspire more Pre-K providers to embrace arts-based learning. One (1) award of $8,000 to an arts and culture organization in Greater Philadelphia with an exemplary program for young children between birth and age 5. One (1) award of $3,500 to a Pre-K provider in Greater Philadelphia with a successful arts-based learning program. Two of three Philadelphia children under school age spend the majority of their waking hours in out-of-home care. Of the children in licensed care, only half of all 3-and 4-year-olds—and a far smaller portion of infants and toddlers—attend a high-quality early learning program. There is an urgent need to make Pre-K more effective in order to give all children a good start in life. The arts provide rich inquiry and exploration, developing children’s creativity, confidence, social and emotional skills and self-regulation, as well as communication and early literacy skills. Too often, early childhood teachers are stuck in traditional product-oriented art tasks that children take home (think: handprint turkey on paper plate) and fail to use music, dance and art-making to their full potential. Children may passively consume performing arts on TV without being encouraged to experience, participate and create these art forms for themselves. These are lost opportunities to inspire children’s creativity and growth. The last few decades have seen increasing pressure in the U.S. to push classroom-style academics into Pre-K so that children are “ready” for kindergarten, even further diminishing time spent in creative play. However, other countries have taken vastly different approaches, emphasizing creative play over traditional academics to achieve equal or better outcomes in math and reading. Trained art and music educators have the skills to help early childhood teachers transform their classrooms and curricula so that the arts enrich children’s cognitive and social/emotional development in ways that are age-appropriate and inclusive of children’s special needs. However, many Pre-K providers, especially those serving low-income families, are either unaware of these benefits or can’t afford to incorporate arts and culture into their curriculum. The Arts & Pre-K Excellence Awards recognize successful programs that use arts and culture effectively and that serve as a model to inspire others. Cultural organizations must be current members of the Greater Philadelphia Cultural Alliance and be located in the Greater Philadelphia region (Bucks, Chester, Delaware, Montgomery or Philadelphia counties). Pre-K providers must be located in the Greater Philadelphia region (Bucks, Chester, Delaware, Montgomery or Philadelphia counties). Local sites of providers based out of the region are eligible. Cultural organizations and Pre-K providers must have at least a five-year track record of providing excellent arts and culture programming to Pre-K students. Cultural organizations and Pre-K providers must have the capacity to continue providing excellent arts and culture programming. Applications for the 2019 Arts & Pre-K Excellence Awards are now closed. Award winners will be announced in the fall of 2019. Please direct inquiries about the Arts & Pre-K Excellence Awards to Allie Vanyur at allisonv@philaculture.org. The Arts & Pre-K Excellence Awards receive lead support from PECO. Additional support for the Cultural Alliance’s Agenda: Pre-K initiative has been provided by PNC Grow Up Great and Lida Foundation. Does your organization provide excellent arts and cultural programming for young children? With lead support from PECO, the Cultural Alliance announces the second cycle of the Arts & Pre-K Excellence Awards, which recognize and celebrate successful arts and culture programs that serve young children in Greater Philadelphia.